Sir Elton John is executive producing. The beloved garden gnomes from Gnomeo and Juliet are back for a whole new adventure in London. When Gnomeo and Juliet first arrive in the city with their friends and family, their biggest concern is getting their new garden ready for spring. However, they soon discover that someone is kidnapping garden gnomes all over London. 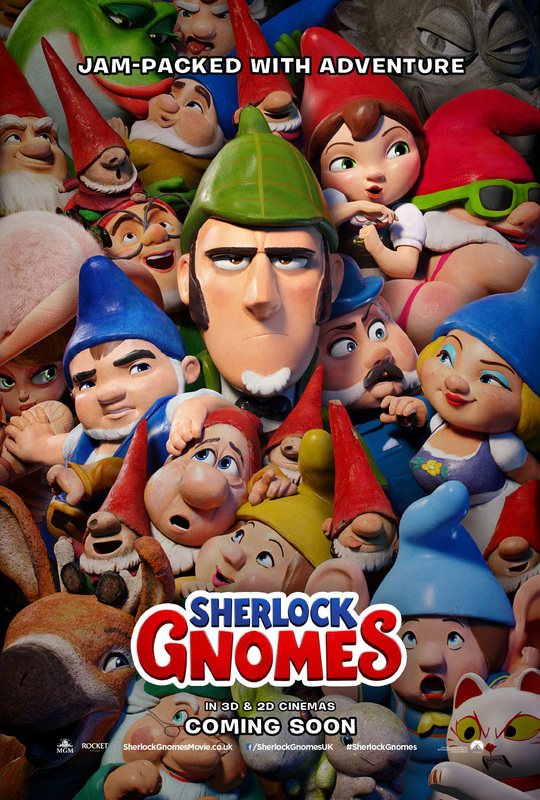 When Gnomeo and Juliet return home to find that everyone in their garden is missing – there's only one gnome to call… Sherlock Gnomes. The famous detective and sworn protector of London's garden gnomes arrives with his sidekick Watson to investigate the case. The mystery will lead our gnomes on a rollicking adventure where they will meet all new ornaments and explore an undiscovered side of the city. Sherlock Gnomes features the voices of returning cast: James McAvoy, Emily Blunt, Michael Caine, Maggie Smith, Stephen Merchant and Ozzy Osbourne, plus Johnny Depp as Sherlock Gnomes, Chiwetel Ejiofor as Watson and Mary J. Blige as Irene. Sir Elton John is executive producing and John Stevenson directed. There is no release date yet for Sherlock Gnomes but stay with The 405 for more as we hear it, and enjoy the trailer below.